David L. Curtis and Dr. Ernest Brown bring years of experience to Concierge Physical Therapists. They treat a variety of simple and complex issues in order to help you feel better. Learn more about them here. David L. Curtis, P.T. is a nationally recognized physical therapy clinician with over 37 years of clinical experience. David was chosen by the Private Practice Section of the American Physical Therapy Association early on in his career as 1 of the 4 Top Practicing Physical Therapists in the country. Currently, David is one of Fairfield County, Connecticut's leading Orthopedic Physical Therapists having had the privilege of treating in excess of several hundred thousand patients over the course of his career. David received his undergraduate degree from Bates College in 1978 and then attended Quinnipiac University receiving his degree in Physical Therapy in 1981. After establishing a strong clinical foundation in multiple areas of physical therapy, David continued to direct his interests in the Orthopedic and Sports Physical Therapy areas. In full-time private practice since 1984, David expanded from his self-proprietorship to create the largest multi-office physical therapist owned private practice in Connecticut. 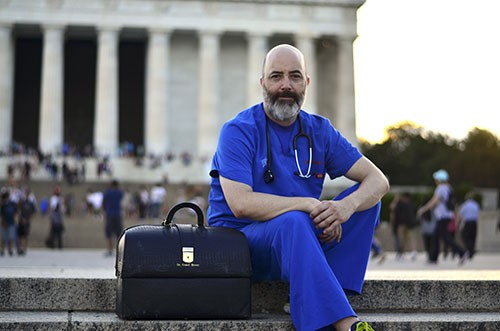 In 2005, in response to the dictates and restrictions of managed "healthcare", David returned to his beginnings and established the first Concierge Physical Therapy model in Connecticut. Now practicing for over 13 years in this model of one-on-one, hands-on, personalized, quality, state-of-the-art care he offers the benefits of his extensive knowledge, skills and experience to adults and athletes alike. Athletes range from recreational to professional and they are involved in every sport imaginable. He cares as well for a significant number of arts and entertainment stars in addition to national and international business moguls. David's focus continues to be that of manual therapy interventions as he is skilled in dozens of manual therapy intervention techniques of massage, mobilization and manipulation. His mastery of manual therapy combined with his attention to posture, body mechanics and the biomechanics of movement along with a virtually limitless resource of knowledge in regards to therapeutic exercise, functional activities and neuromuscular re-education allows him to deliver unparalleled results in significantly less time.